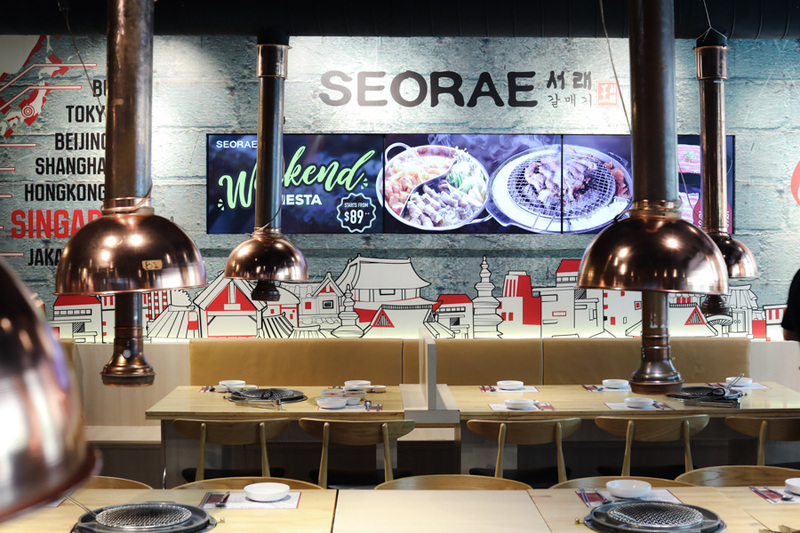 Catch up with your friends and family at Seorae Korean Charcoal BBQ, one of the first Korean restaurants in Singapore that offer the signature Korean galmaegisal (premium pork skirt meat). 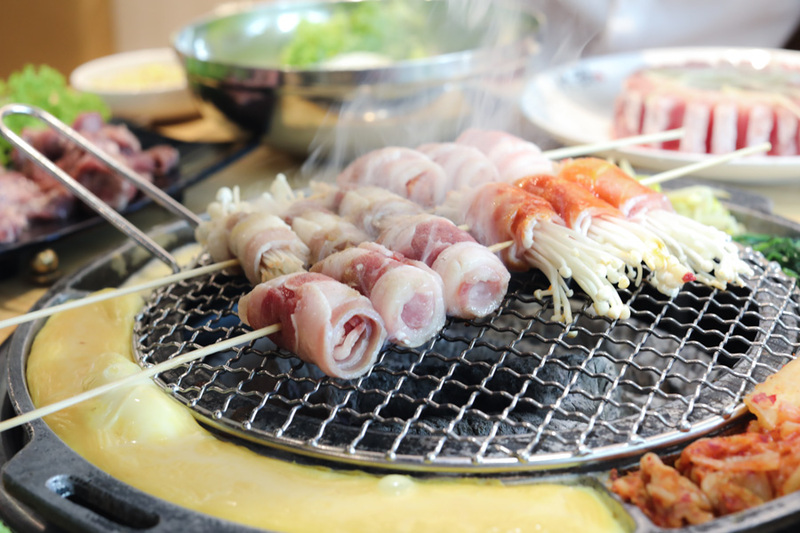 While many others use electric-grill plates for their meats, Seorae preserves the original taste of Korean BBQ with the use of quality charcoal. 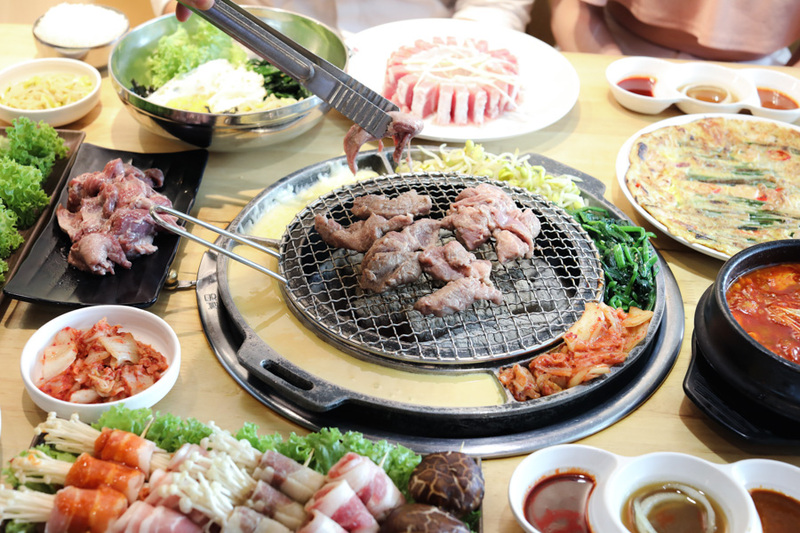 Dine like a Korean Royalty during this festive period, as the restaurant has premium barbecue meats in a Mix King Set which includes the best-of-everything. 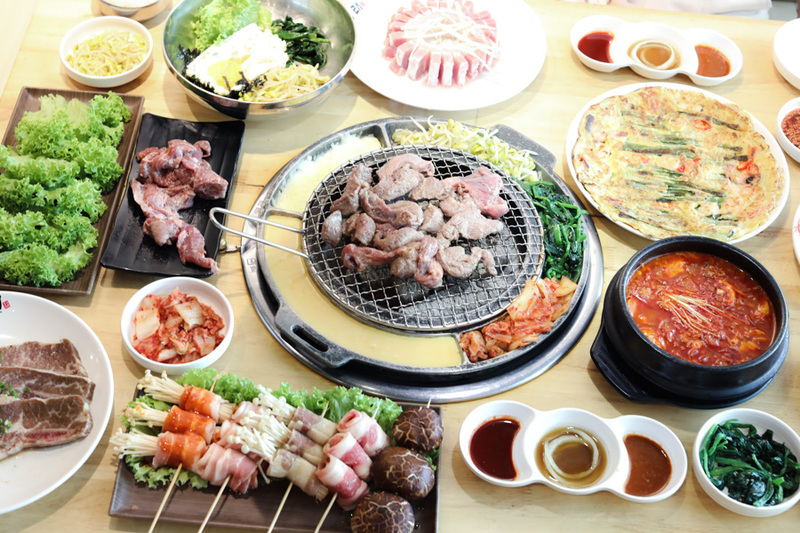 The Mix King Set ($148++), good for 3-4 to share, includes a tantalising spread of barbecued meats of Galmaegisal, Seorae Samgyeobsal (Premium Pork Belly), Woosamgyeob (US Beef Shortplate), LA Galbi (Bone-in Short Ribs), Kkochi Platter, and dishes of Bibimbap, Hameul Pajeon and Sundubu Jjigae. 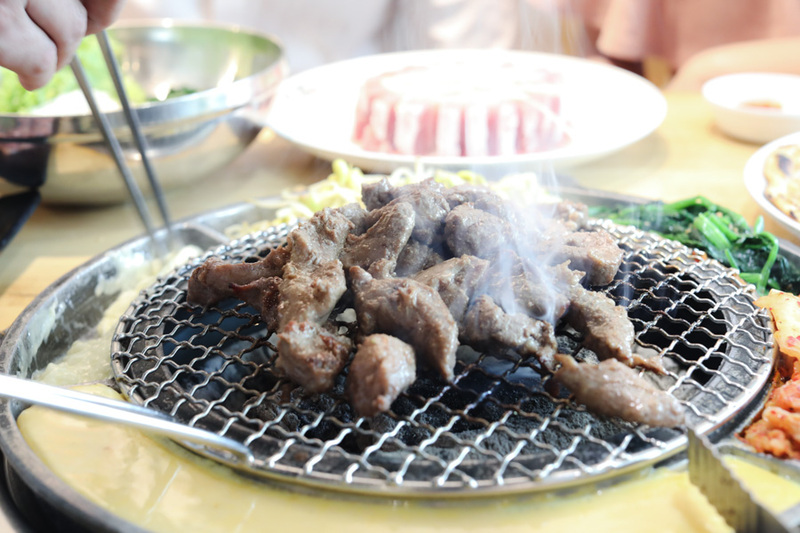 There are many types of meats used for Korean BBQ, but one type stands out from the rest: Galmaegisal. Galmaegisal is a premium meat cut found between the ribs and the belly of the pig, an extension of the sirloin. In meat parlance, it is known as a pork skirt or skirt meat, or the “wagyu of pork”. You get the idea. It has that perfect lean meat to fat ratio, making it a superiorly tender and juicy meat for grilling. 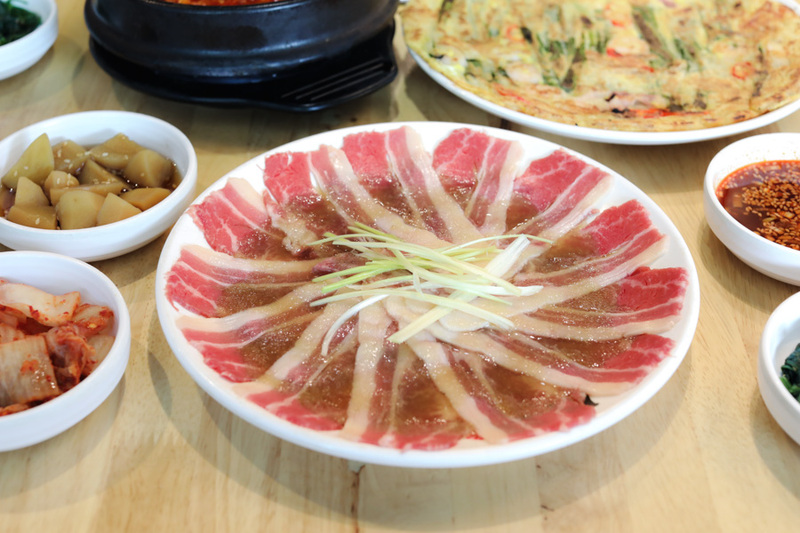 Weighing only 250g in every full-grown pig, it is once said this special and rare meat cut is reserved only for the Korean royalty of the past. Today, it is now a must-have on every local Korean buff’s platter. 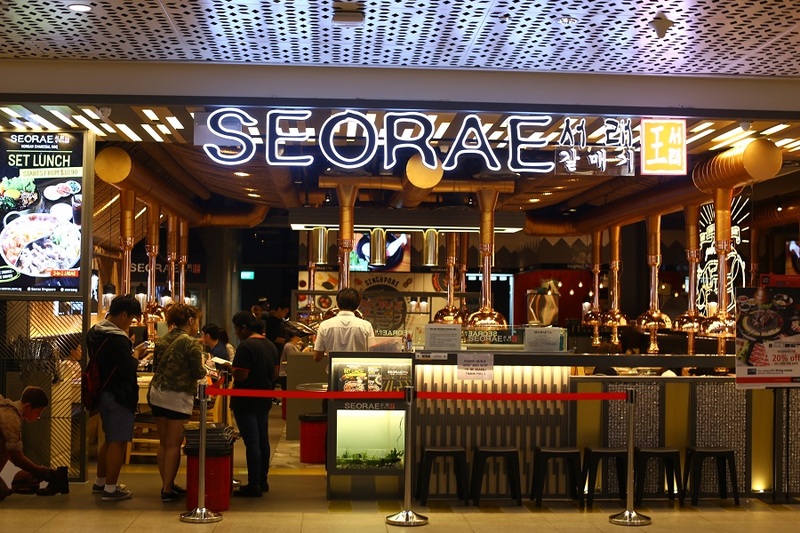 Seorae is one of the first Korean restaurants in Singapore that offer the signature Korean galmaegisal. Before serving, the meats are carefully marinated and massaged to elevate the prized meat’s texture and taste. When grilled, the galmaegisal takes on the exceptional characteristics of Wagyu beef. Rich in flavour, tender in texture, juicy in your mouth. Seorae Samgyeobsal is a specially-cut premium pork belly Seorae-style that’s way different from how other Korean restaurants slice their samgyeobsal or pork belly. 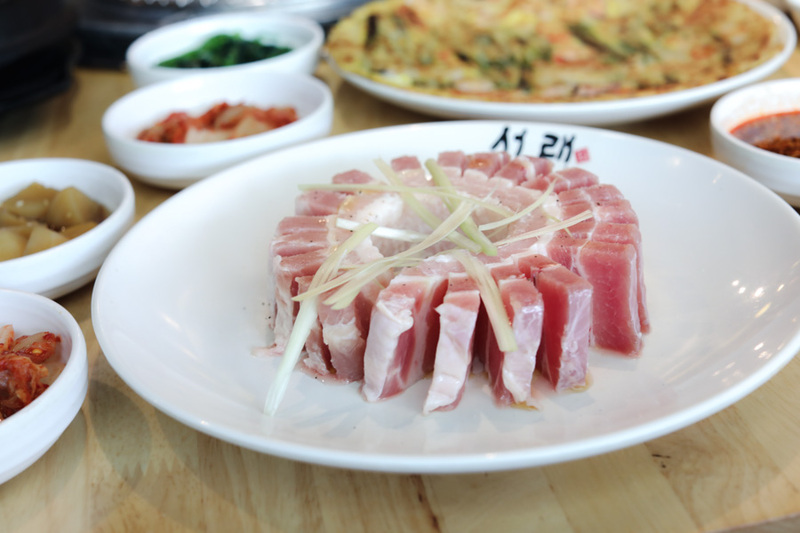 In Seorae, the pork belly is cut thick and arranged in an eye-catching radial presentation, instead of the usual side-by-side slices. The thickness (about the size of your pinky finger) allows it to become so succulent when grilled that will melt in your mouth. Yes, some call it porkgasmic. This is perhaps everybody’s favourite, a standard order so to speak. 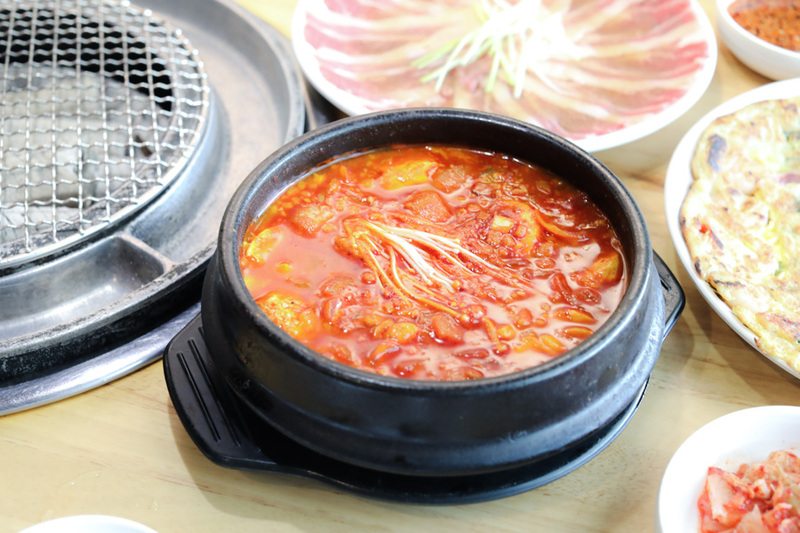 Get the spicy Seorae Samgyeobsal for that extra kick. 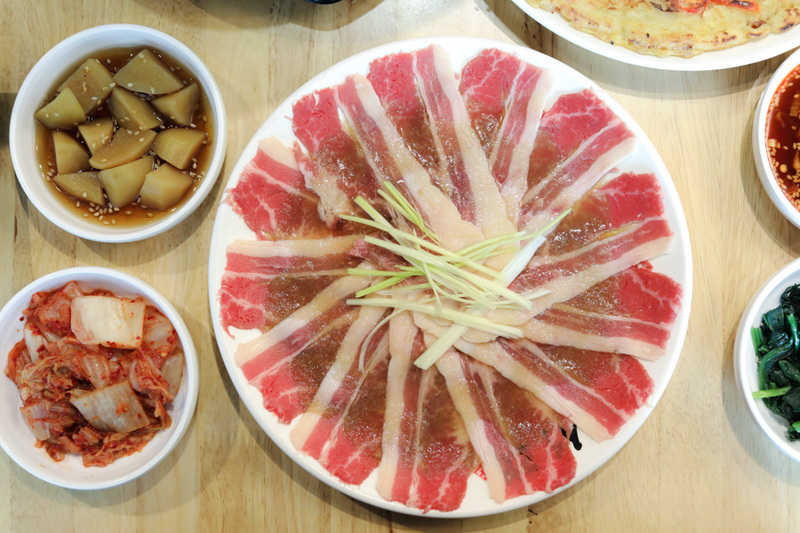 Woosamgyeob is thinly sliced beef belly, also known as the plate of beef. It is the forequarter cut from the belly of the cow, just below the rib, typically a fatty meat. This beef is usually marinated overnight to fully develop its flavours. Its special marinade imparts a mild sweet and savoury taste in the meat, with a nice herbal taste. 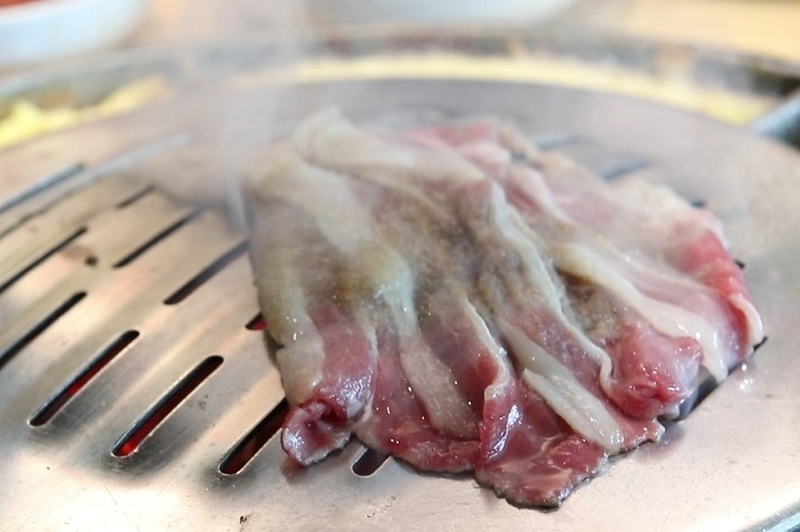 If you want a meat that’s not too heavy and just mild in taste, then the Woosamgyeob is recommended. Tip: You have to know grilling time is utterly important for this type of meat. It should not be over-grilled so as not to lose much of its moisture and stay juicy. When cooked right, it will be very soft and easy to chew. 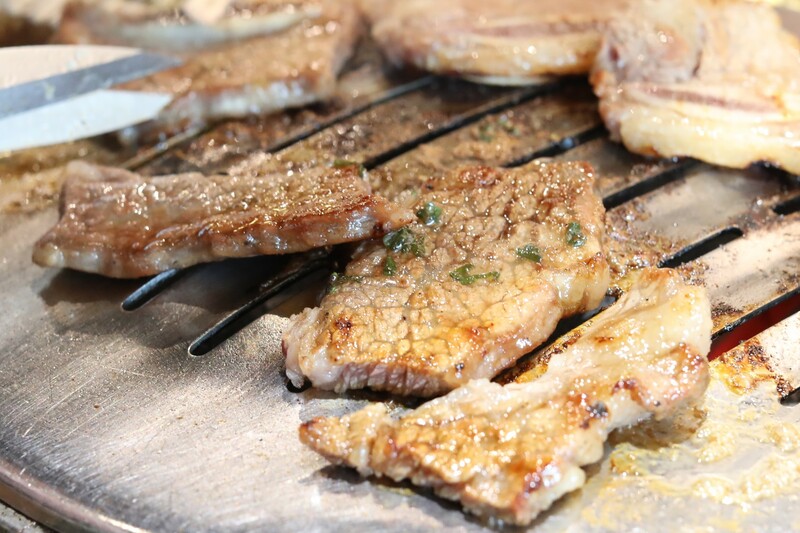 Listed down by CNN as one of the top 50 World Most Delicious Food, LA Galbi is a must-try Korean BBQ-meat. 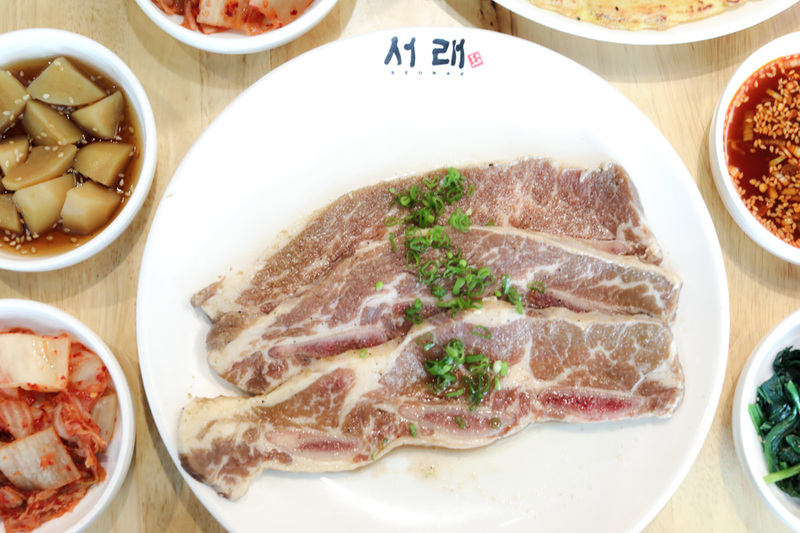 LA Galbi (galbi means ribs in Korean) is a US Prime beef short-ribs cut across the bones. Similar to other meats for Korean BBQ, it’s sliced thinly you may not recognize them as “ribs”. Marinated overnight, these bone-in short ribs are packed with flavour. When properly grilled, you’ll end up with an addicting piece of caramelly-sweet, tender, juicy meat you can pop into your mouth or wrapped within the greens. After tasting its sheer succulence in your mouth, it may just become your favourite. Other than a sea of meat choices, the Kkochi Platter provides a variety like a “snack food”. 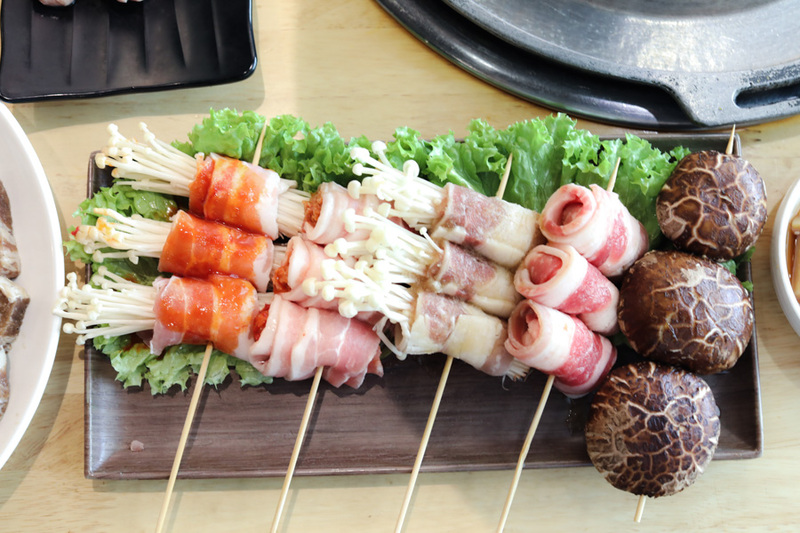 This platter features charcoal-grilled skewered meats, shiitake mushroom, spicy meat-wrapped enoki mushrooms, etc. 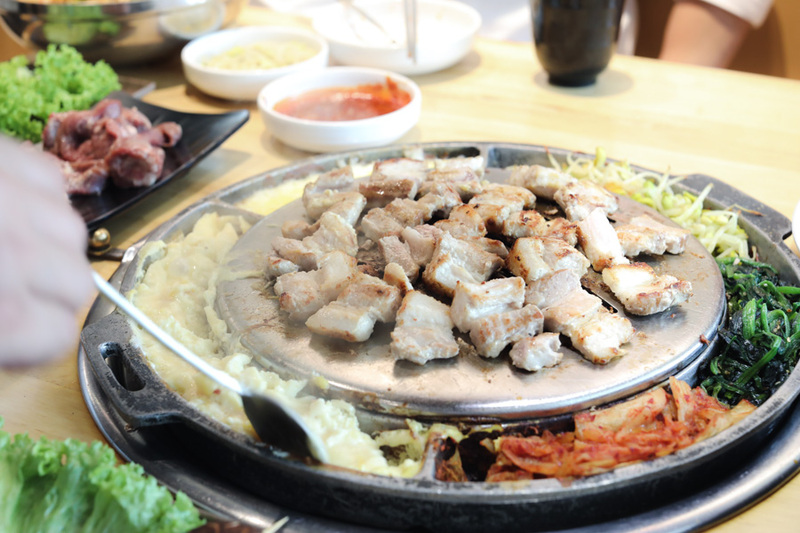 For the meats, you can choose between samgyeobsal (premium pork belly) and woosamgyeob (US prime beef short plate). 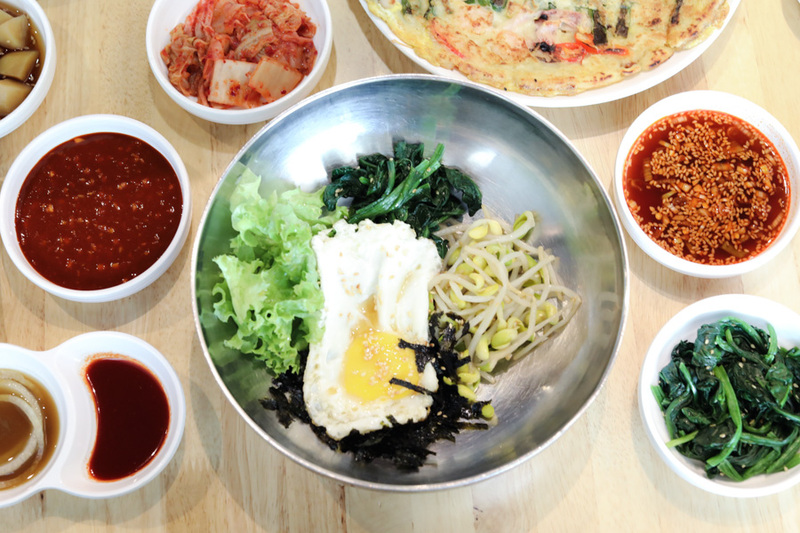 Bibimbap literally means “mixed rice” combining bibim (mixed) and bap (rice). This popular Korean dish is prepared slightly differently, with vegetables and egg mixed in a special sauce, then served with bowls of steamed rice in a stainless steel bowl. The ingredients come together beautifully in the bowl and deliciously in your mouth. I tell you, it’s that sauce. 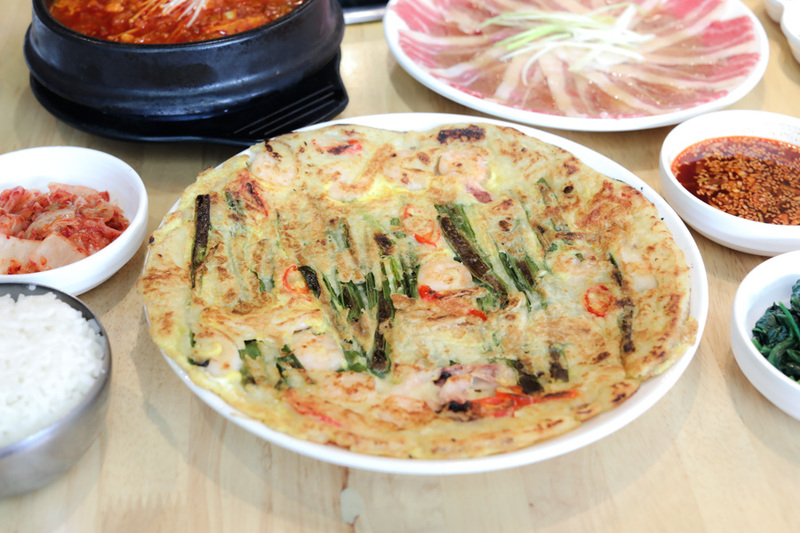 Pajeon is a traditional Korean pancake dish that is made from a batter of wheat flour, rice flour, eggs, and scallions/fresh spring onions. If you’re a fan of spring onions, you’ll love this dish as it’s stuffed with generous portions of it. And I mean chunks of highly visible long pieces. Aside from the scallion being its prominent ingredient (the “pa” in panjeon means scallion, “jeon” means pan-fried battered food), this version (Hameul Pajeon) has seafood in it, such as prawns and squid. The pancake here has a mildly crunchy exterior, but inside it is fluffy and almost mochi-like in texture. This vibrant and colourful jjigae (stew) turned out to be all our favourite dish. I think it also has something to do with the cool, rainy weather nowadays. 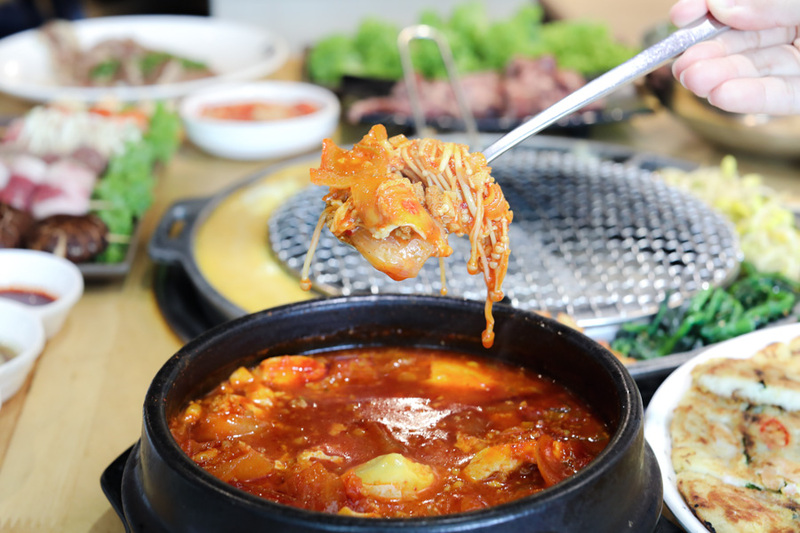 Served in a traditional Korean ddukbaegi (hot pot) and filled to the brim, the star of this stew is the sundubu (silken tofu) that’s velvety soft on the tongue. 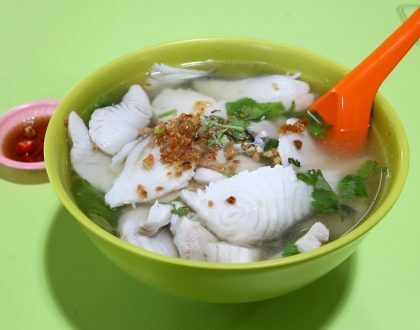 It is accompanied with other ingredients like clams and minced pork, plus some enoki mushrooms and an egg yolk to make it hearty and flavourful. The clams give it a sweet, briny flavour that balances out the gochujang (fermented paprika paste) added to the stew. 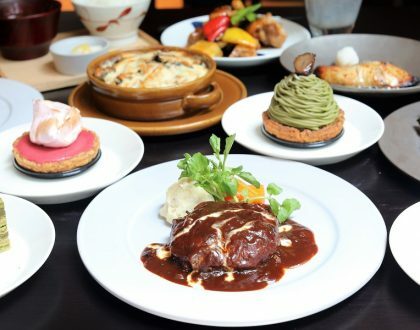 On top of all the above, ban chan (side dishes) are free and refillable; you can get Steamed Egg on Grill; and top-up $2 for 4 rounds of Cheese on Grill. After the Korean BBQ meal, order the Subak Mocktail. 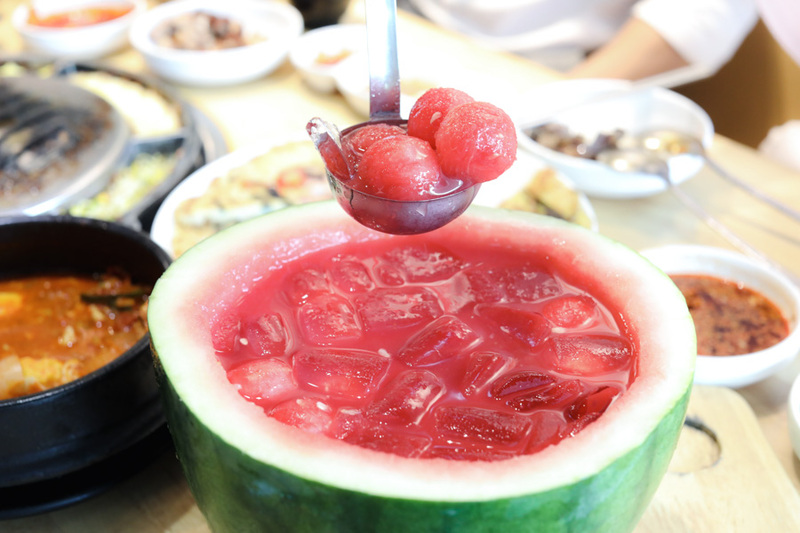 This non-alcoholic Korean watermelon punch is a popular summer dessert and drink – light, refreshing and will quench your thirst for sure to complete the meal. 3. Not applicable with other promotions, privileges, sets and credit card discounts. Exclusion dates apply. 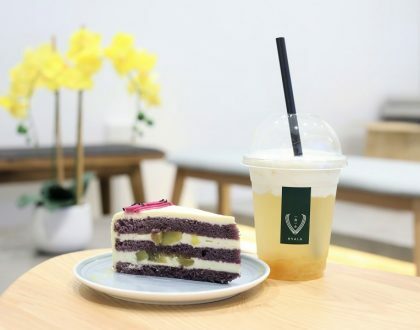 All 3 vouchers are not valid on 1st and 2nd day (5th & 6th Feb 2019) CNY, eve of & Valentine’s Day on 14 Feb 2019. 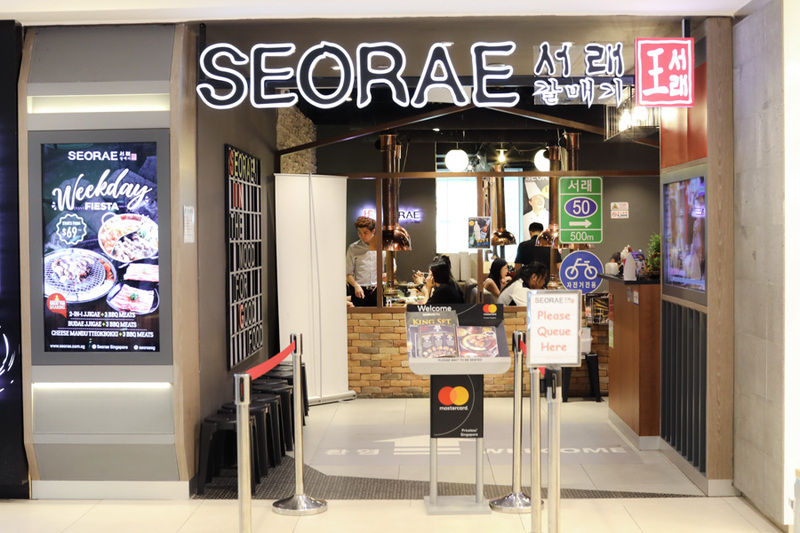 * This entry is brought to you in partnership with Seorae Korean Charcoal BBQ.